Spending Christmas at home is nice, but sometimes it can be easy to get distracted by cooking, cleaning and other various chores, and you don’t spend as much time bonding with your family as you would like. When you spend the holiday in Gatlinburg TN, your family will bond over new experiences and the start of new traditions! Our Gatlinburg TN cabins will make spending time with your family more fun than ever because we have all the best amenities to keep everyone entertained for days on end! Your kids will love going head to head with you in friendly pool, air hockey and foosball tournaments, and the whole family will enjoy spending an evening watching a few favorite films in the cabin’s luxury theater room! Be sure to pack popcorn, candy and your family’s favorite drinks to make it a real movie theater experience! 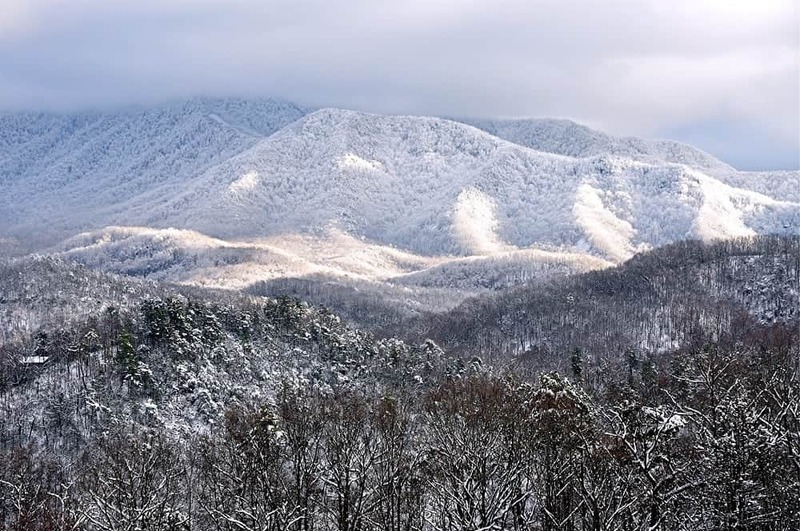 As we mentioned earlier, it’s easy to get stressed out during Christmas by all the cooking, cleaning and other various chores that are involved in hosting a family gathering, so why not escape all the hassle by spending the upcoming holiday in Gatlinburg TN! There’s no cleaning involved because each of our cabins is deep cleaned before you arrive, and the professional decorations will make you feel right at home. You won’t need to worry about cooking if you don’t want to because Gatlinburg TN has dozens of delicious restaurants that will please each member of your family. But if you do want to cook a traditional Christmas feast, our cabins have fully equipped kitchens that make cooking for your family fun and easy. And at the end of the day, instead of cleaning up behind relatives and friends, you and your family can enjoy soaking in the bubbly hot tub that overlooks the beautiful Smoky Mountains. We promise that this will be a Christmas that you’ll remember for years to come! When you spend Christmas at home, you end up spending a ton of money on groceries, decorations and lots of presents. While these things can be fun and exciting, it can also be tough on your wallet. When you spend the holiday in Gatlinburg TN, you’re likely to actually save quite a bit of money! Instead of buying enough food to feed your entire neighborhood, you will save money by treating your family out to a nice meal on the town. And instead of tons of presents, treat your kids to a few fun Gatlinburg TN attractions! The kids will have a blast, and you’ll save some serious money, making this a win-win situation for everyone involved! One of the best things about spending the upcoming holiday in Gatlinburg TN at one of our beautiful Gatlinburg TN cabins is that they are located nearby lots of family friendly events. From parades and Christmas festivals to arts and crafts shows and live music events, Gatlinburg TN is full of fun ways to celebrate the season! Before you book your family’s trip, be sure to check out our Gatlinburg TN calendar of events and choose which events you definitely want to be in town to see! In order to make the most of your upcoming holiday in Gatlinburg TN, check out all the wonderful savings and specials we have available to help you stretch your vacation budget even further. When you save money on your cabin stay, you’ll have more room in your budget for shopping, dining out and all the other things that will make your family’s Christmas extra special!